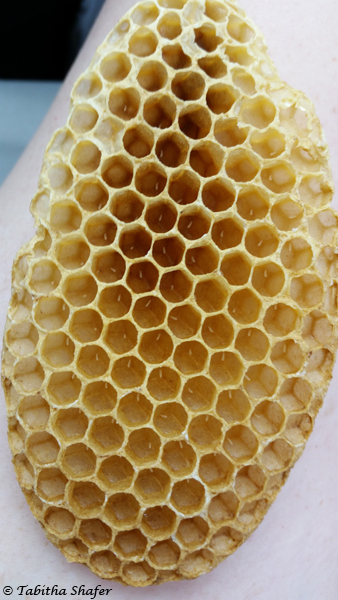 This is a good example to see what young bee larvae looks like in the comb. You see some eggs and the larvae which are probably 2-3 days old. 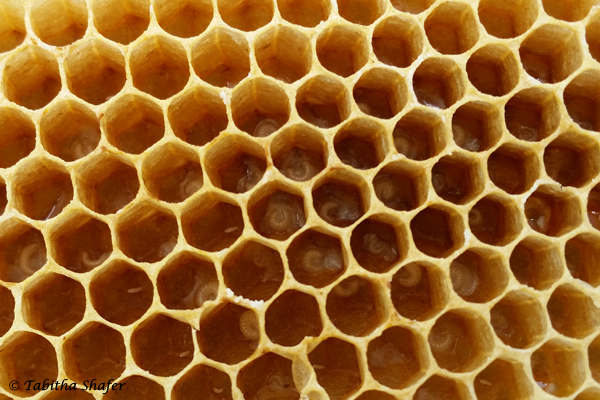 You will notice a white liquid inside the cells, that is royal jelly. 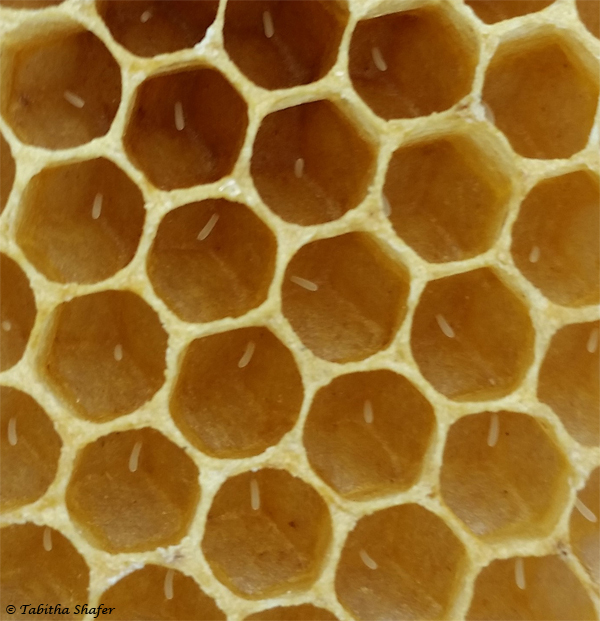 Worker bee larvae are fed royal jelly for the first 3 days, after that they are fed nectar, honey and pollen. 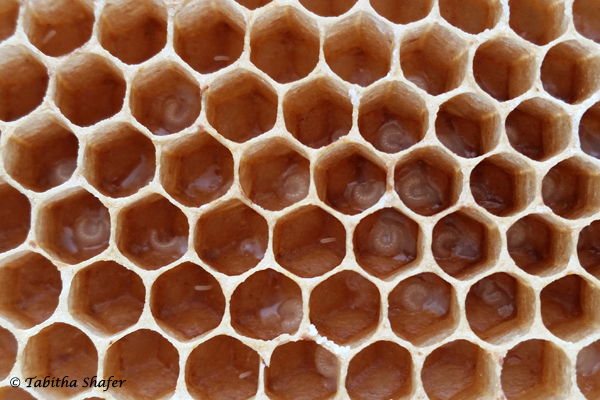 Only larvae that have been selected to become queens will be fed royal jelly the entire time of their development. Young larvae feeding on royal jelly. A few eggs can also be seen. More young larvae feeding on royal jelly. Here you can see some that are smaller than others, just different age larvae. 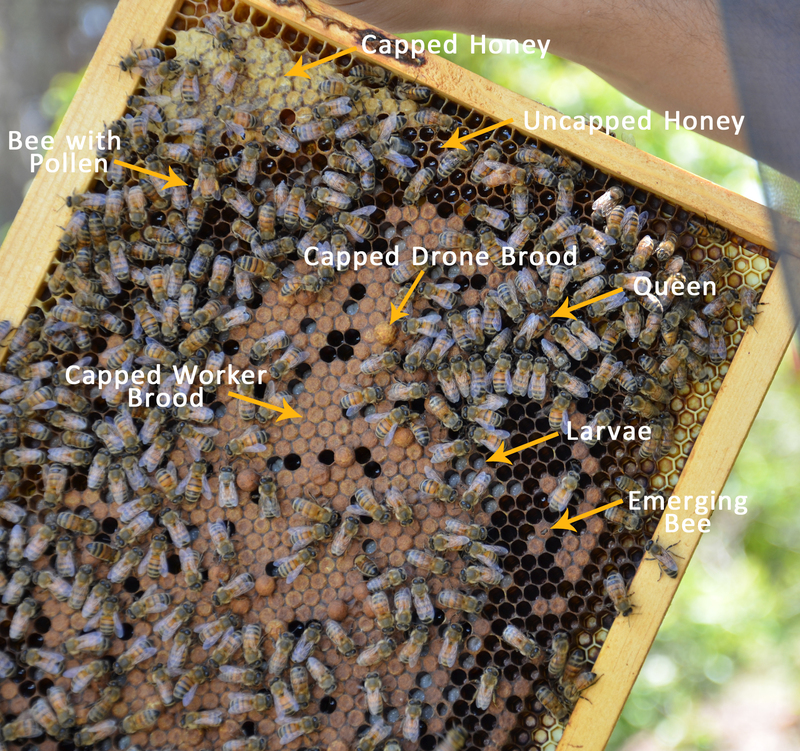 We opened up one of our hives and found some small pieces of burr comb attached to the hive lid. 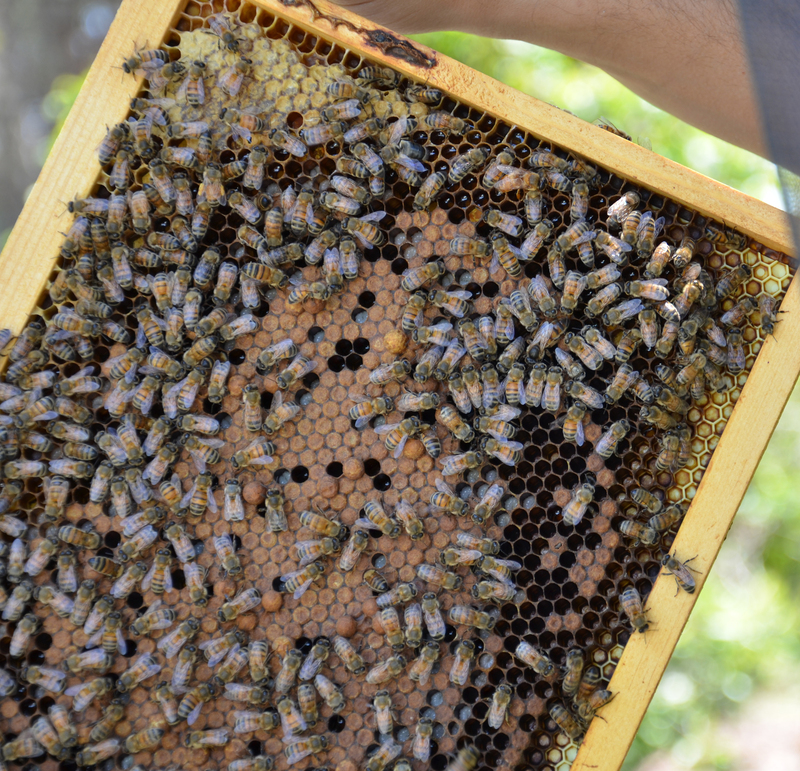 When we find the bees building burr comb we tend to remove it just so they don’t start building all over the place and make a mess inside the hive. After removing this piece I noticed it was full of eggs. For those of you who have never seen bee eggs they look like tiny grains of rice. Burr comb full of eggs. We have been busy with life and our bees the past few weeks and I realized I haven’t posted on my blog in a while (shame on me). 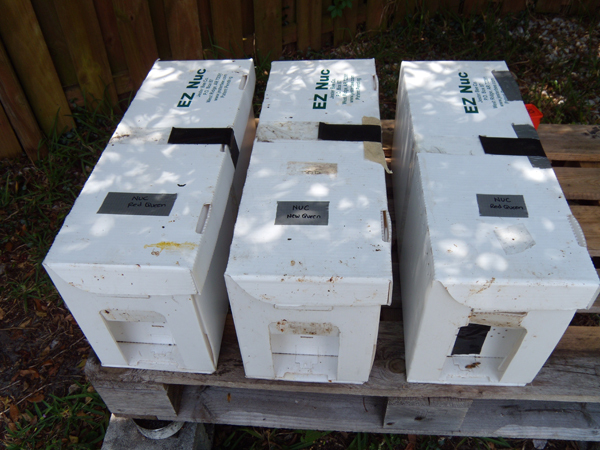 We had been preparing and building up our hives for splits and swarm prevention and everything went well. All the splits are doing great and we prevented swarming. Getting some of our equipment ready. Grabbing a frame with plenty of brood. Grabbing a frame full of pollen, which serves as food for the brood. Going through the hives looking for good frames to use in the splits. Providing additional nutrition with bee patties. Finally, new nucs ready to go. 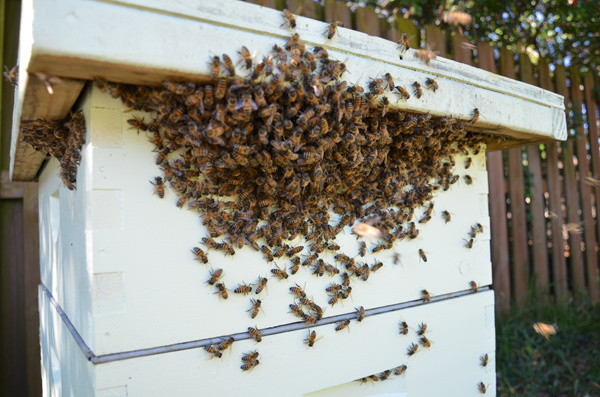 It was the afternoon of December 17th when I happened to glance outside and to my surprise I saw a swarm taking place in the backyard. 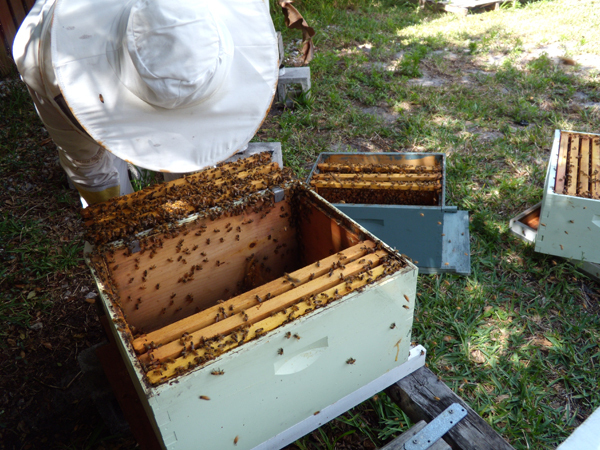 I couldn’t believe I was witnessing a swarm in mid-December, but here in Florida it has been rather warm this winter, so I guess it is possible. I had to take a video of it happening. 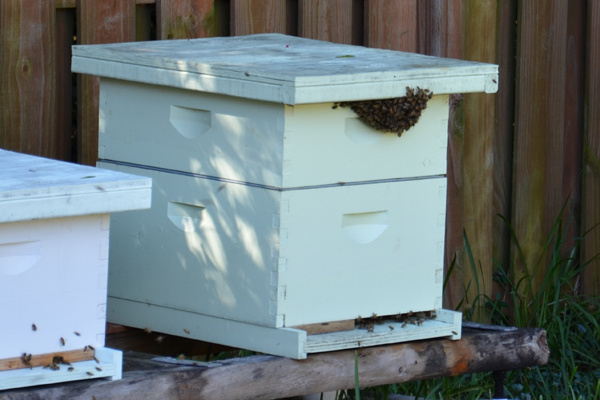 The swarm decided to settle on one of our hives which caused me to worry about what was going on. Was this a swarm from my own hive? Was this a feral swarm trying to invade my hive? Lots of questions swirled in my head. I approached the hive after things started to calm down and saw some bees fighting, not a good sign. 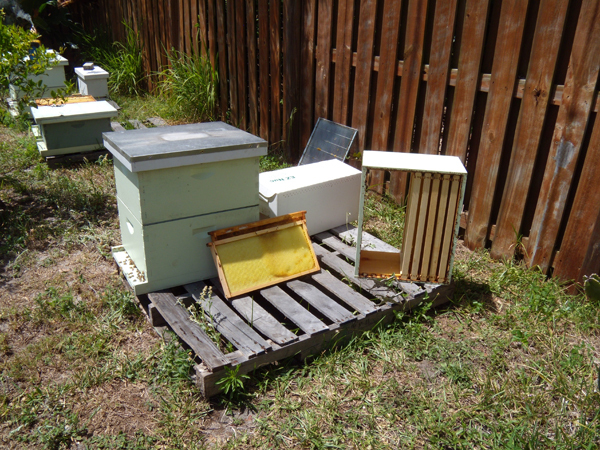 A few days later my husband and I opened up the hive to do an inspection. The behavior of the hive had completely changed. They were no longer our quiet calm bees, but instead they were very antsy. Not aggressive or trying to attack us, but moving around as if they were restless. 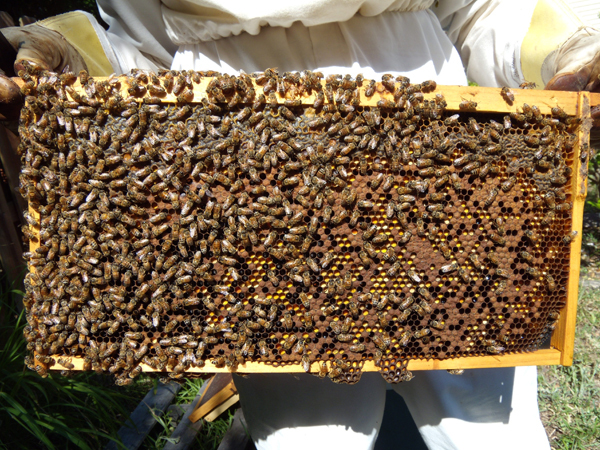 Our efforts to find our marked queen that day were useless, so we closed up the hive and decided to wait another week. 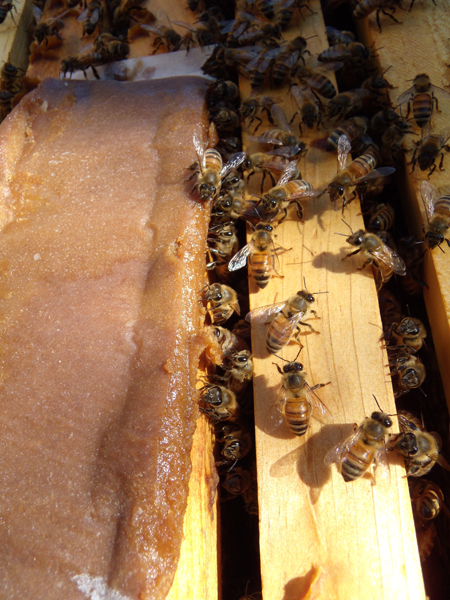 Finally on December 28th we opened the hive again to find the same restless behavior. 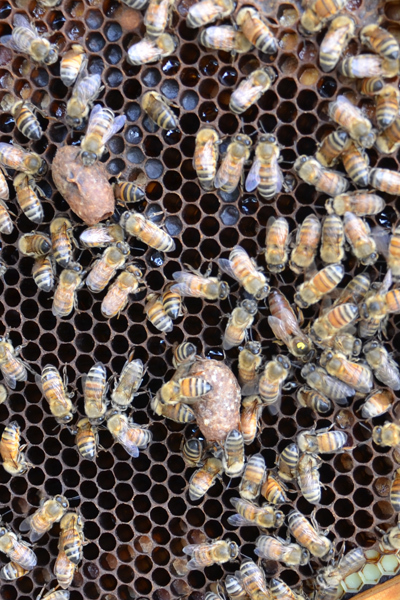 We also found eggs, but in a random laying pattern and then…there was a new unmarked queen! Bad news for us. This means that our hygienic queen was probably forced out of the hive or killed by this feral swarm and they moved into the hive. So we took immediate action. We killed the feral queen and combined the hive with another one of our stronger hives to save any of the remaining worker bees. Combining hives has been a very successful tactic for us in this type of situation. 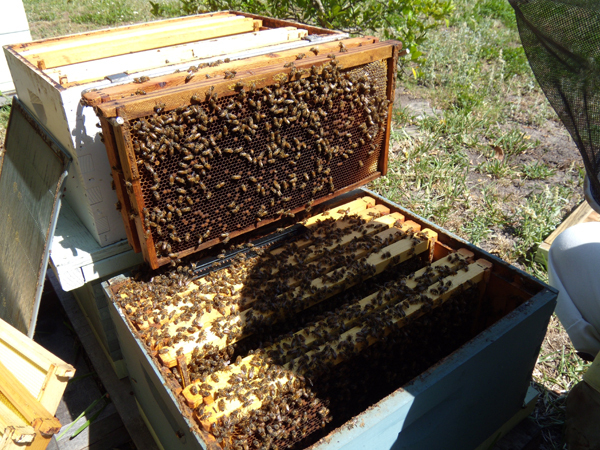 Once spring arrives we will be able to split this hive and give them a new hygienic queen. If you are wondering why we have paper between the two hives, this is so the bees can smell each other and accept each other. 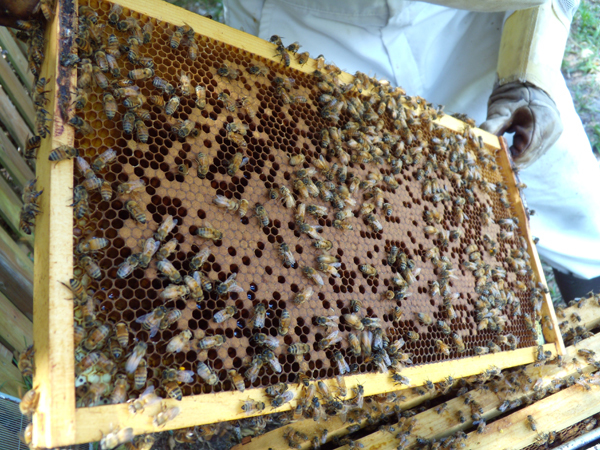 You put down a sheet of paper on top of the strong hive that has a queen, you cut small slits into the paper and then place the weak queenless hive on top. 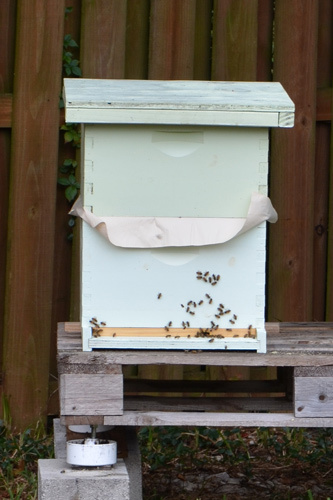 The slits allow the bees to smell each other and then they begin chewing through the paper and become a single hive. They eat through the paper pretty quick, usually within a day they are combined.